In Mormon literature, Joseph Smith, the founder of the Church of Jesus Christ of Latter-day Saints, is often portrayed as a person who worked hard to make a living next to his ecclesiastical duties (see for instance Teachings of Presidents of the Church: Joseph Smith 2007, p. 79). Taking a closer look at Joseph Smith’s life, however, reveals that he lived at the expense of his followers for most of his adult life. 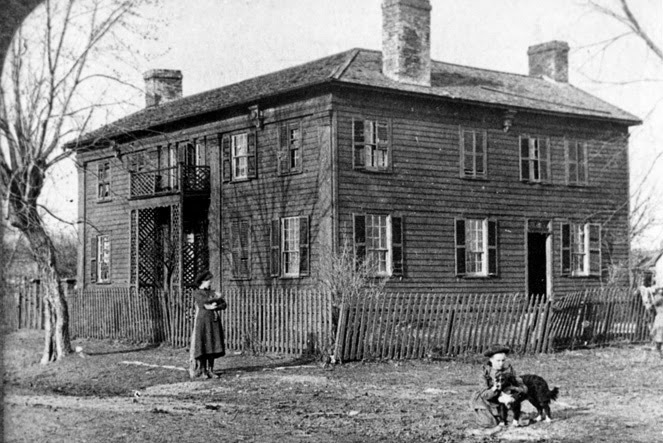 In the first year after his marriage to Emma Hale on January 18, 1827, the young couple lived with Joseph Smith’s parents in Manchester, New York. In December they moved to Emma’s parents in Harmony, Pennsylvania, who let them buy some land on credit. Instead of working the land to earn the $ 200 needed toward repayment of his debt, Joseph Smith worked on writing the Book of Mormon and lived on charity from friends and acquaintances like Martin Harris and Joseph Knight (Newell & Avery 1994, pp. 19-34). Then suddenly, in August 1830, he paid off the $ 200 in a single installment but it is not known where he got the money. Not long afterwards, Joseph Smith moved to Kirtland, Ohio “and this because of the enemy and for your sakes” (Doctrine and Covenants 2013, p. 62) – the enemy being the people of the state of New York who were familiar with Joseph Smith’s treasure digging past and wanted nothing to do with his new church (Arrington 1970). In Ohio, on the other hand, Mormon missionaries were successful. In November 1830 they baptized Sidney Rigdon, a Baptist minister, and more than a hundred of his followers (Ludlow 1992, p. 1234). Upon their arrival in Kirtland in early 1831, Joseph and Emma first lived with Newell K. Whitney for a month, after which he received a revelation that someone needed to build them a home (Doctrine and Covenants 2013, p. 69). Isaac Morley stepped up to the plate and built a log cabin, where Emma Smith gave birth to twins on April 30. When Joseph Smith returned from a trip to Missouri in September, he needed a quiet place to work on his revision of the Bible with Sidney Rigdon. He chose the Johnson farm. However convenient free housing may seem to some, a person also has to eat, so during the 1831 October conference David Whitmer, Reynolds Cahoon, Simeon Carter, Orson Hyde, Hyrum Smith and Emer Harris were appointed to take care of the Smith family (2 children) and the Rigdons (6 children, see Wagoner 1994, p. 109). Earlier that year, Joseph Smith had already made the “holiness” of his followers and their understanding of “the mysteries of the kingdom” contingent on the degree to which they “provide for him food and raiment, and whatsoever thing he needeth to accomplish the work wherewith I have commanded him” (Doctrine and Covenants 2013, p. 76). The "Nauvoo House for boarding"
Throughout Joseph Smith’s life, revelation proved an effective means to get free room and board. In 1834, for instance, he was assigned a tract of land (Doctrine and Covenants 2013, p. 209) and in 1841 an entire hotel, to be paid for by one Amos Davies (p. 254). Borrowing money was another way. When Joseph Smith fled Kirtland, he left a debt of well over $ 100,000 (comparable to over $ 2,000,000 today). It was left up to a few trusted members, like Oliver Granger and Jared Carter, to straighten things out (Ludlow 1992, pp. 792-793). In today’s official Mormon historical writings, very little, if any, attention is paid to Josep Smith’s finances, a subject of which this article barely scratched the surface. Instead, Mormons are fed an image of a noble, hard-working, self-sacrificing idealist who selflessly put his entire life in the service of God. This image, unfortunately, does not comply with the facts.